Every year for the Fourth of July, I make this American Flag Cake Recipe, and it’s always a hit! 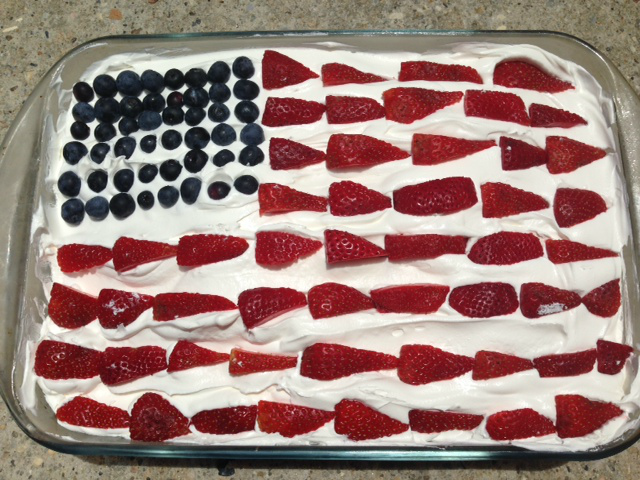 This cake is super easy to do, you can whip it up the morning of your patriotic party, and it’s quick! And very delicious! This cake is awesome for any red, white, and blue celebration in the park or at a pool party! You can make it for July 4th (like I usually do), Memorial Day, Veterans’s Day, or even Labor Day. It would work for any party celebrating the U.S.A.! 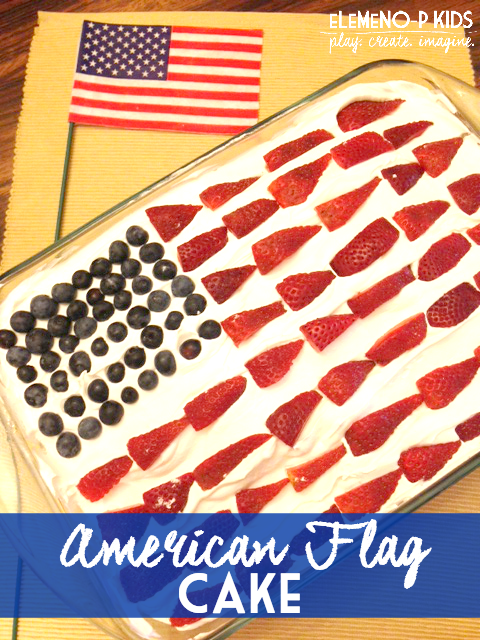 Hope you enjoy this easy, DIY American Flag Cake recipe! This American Flag cake is perfect for any red, white, and blue celebration! Cook the white cake recipe using the instructions on the cake mix box using the 9"x13" cake pan size. 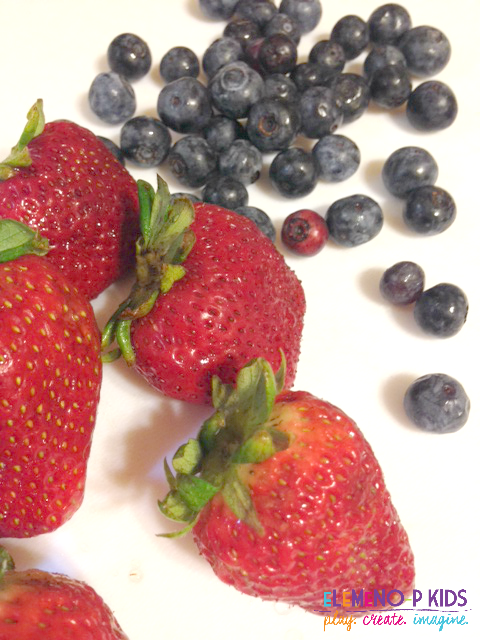 While cake is baking, rinse and wash blueberries and strawberries. Cut strawberries in half vertically to make "thin strips". Spread whip cream across the top until cake is covered. Place 50 blueberries on the top left corner. Make stripes using your cut strawberries. Yummy, fresh fruit is so fun and easy to cook with!